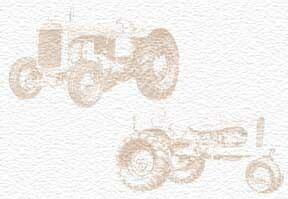 I have worked for our local farm equipment dealership, Briggs Equipment for the past 33 years. I have had the pleasure of a few grand vacation sales promotion trips over the years from Allis Chalmers--LasVegas, Hawaii, Mexico City to name a few. For the past 13 years, I have been an avid collector and restorer of antique Allis - Chalmers tractors and A- C equipment. In my hobby I have 10 restored beautiful orange tractors (U, UC, IB, RC, G etc.) I enjoy spending my summer and fall attending as many antique tractor shows as I can while still working fulltime at the local dealership. Attending a Gathering of the Orange at least once a year is a must. I enjoy reminising about the A - C past with anyone who wants to pass the time of day. Going orange is going great!